This need to sell as many rooms as possible, every single day, is ubiquitous in the hospitality space. And one of the best things to happen to hoteliers in this regard is the concept of “last-minute booking apps’. Thanks to innovation in technology, hotels can now increase their occupancy rate owing to these apps. Hotel last minute bookings are huge in the mobile first world we now live in. This stat will validate this statement, if you don’t believe in the power of the mobile yet. In less than a decade, these apps have addressed a problem that has haunted the hospitality industry since… forever! Last-minute hotel booking apps help hoteliers sell their rooms, quite literally, in the last minute. Even if the room is sold at a much cheaper price than its rack rate, it is still a more lucrative option than having an unsold room! There are several geo-specific apps that cater to this specific need in the market. These apps offer last-minute hotel bookings at discounts as high as 50, 60 or even 70%. Depending on whether you are a cozy B&B, a budget motel or a boutique hotel, you can pick an app that caters to your property type, so you address the right audience. 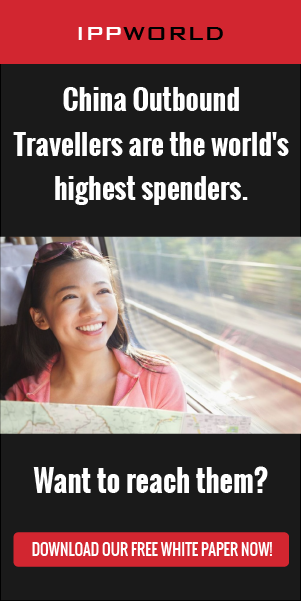 A budget traveler will not look for last minute deals on an app that gives deals on fancy high-end hotels! Some of these apps cater to all. Research well and find the best app for your property type and size so your audience finds you easily. As of August 2018, the average occupancy rate of the hotel industry in USA was 71.4% (Source). Almost suggesting that 1 in 4 rooms remains unsold in hotels, on an average. By listing yourself on a last-minute booking app, you increase your chances of selling every last room that is available at your property at discounted prices. The thing about last minute booking apps is that bookers may not always find the exact room that they want. Meaning, it gives you the chance to appeal to a guest that may not necessarily be in your defined target audience. By offering such guests an impeccable guest experience, you stand the chance of getting a lovely review online which, in turn, can create more customers in the future. These apps are immensely popular today as they address a market need and are beneficial to both hotels as well as travelers! Imagine a traveler who had to make an emergency visit to your city, for whatever reasons. He gets off his flight at 3AM and logs into an app and makes a booking for the closest hotel, or the cheapest hotel, of the cheapest deal he can find on a decent hotel. No longer is the traveler helpless to make do with the first hotel he sees! And no longer do front desk staff have to stay up all night solely depending on a walk-in guest to fill up that unsold room! Everybody wins! We’ve discussed, in this blog, just one of the ways to increase and improve hotel bookings. There are many other ways to increase bookings and occupancy. With a Hotel PMS like Hotelogix in place, you can automate several operations that will help you distribute better and in real-time, allowing travelers to have the most updated information about inventory and rates. Get in touch with us now to understand how we can help you sell more rooms. Email us at sales@hotelogix.com and we’ll be thrilled to run you through our award-winning Hotel Property Management System. Looking for ways to increase your hotel’s last minute bookings? We’ll help you with that and so much more. Try Hotelogix for free now!